Is there any better time for a detox than January? I’m sure I’m not the only one who has vowed to eat healthier, sleep earlier, and stick to clean beauty products? When The Detox Market approached me to review their January Detox Box, I was stoked to start off well with my New Year’s resolution to stick to greener beauty products. The Detox Box is a subscription beauty box that offers the opportunity to try green beauty brands every month. It costs $49.95 (or $44.95/mo for 3 months or $39.95/mo for 6 months) each month with products valued at $90 or more. This month’s January 2018 Detox Box included two products from a brand unfamiliar to me, Tammy Fender — the products were the Tammy Fender Epi-Peel and Bulgarian Rose Water. It’s a bit risky, but intriguing, to offer products from a single brand (this will be the case every month). It makes sense if your goal is to discover new beauty brands you’re not familiar with, as it gives you a chance to sample the brand’s products more thoroughly. Personally, I’m at the stage in my skincare journey when I’m looking for quality curation rather than just a whackload of products, to put it inelegantly. I don’t need a box bursting with samples and multiple products from many different brands, I’d rather have someone introduce the best products from a quality brand. So to me, the Detox Box fits into my current skincare ethos. It might work less well though if you prefer a broad range of products to sample. My impressions of the two products were generally good. The Bulgarian Rose Water is a watery rose mist that felt refreshing and hydrating. I like to use mists as my first post-cleanse step to quickly replenish my skin’s moisture, and then I follow that up with a thicker toner. This one did the job just fine. It was pleasant and I appreciated the minimal ingredients, though it’s not something I’d rush out to repurchase. The Epi-Peel was more impressive. It is a micro-exfoliation paste that feels deliciously soft and creamy. You can hardly feel any grit in it — it feels like a very soft and moisturizing clay mask. The Epi-Peel contains kaolin clay as well as vitamins C and E, antioxidant extracts such as ginseng and mint, and botanical oils. You massage this gently over your face and leave it on for a couple minutes before rinsing it off. I liked how gentle this was — my face felt softer and smoother but not irritated, which is key to being able to exfoliate more often. The all-natural ingredient list is superb with not a “poly-” or an “-ol” or a “-hyde” in sight. The only downside is that you use quite a generous amount each time, so this 1.7oz jar will go quickly. I estimate getting 6-7 uses out of the jar if you use enough to massage over the skin comfortably. Overall, I enjoyed using both products and I’m glad that Tammy Fender is on my radar now, as it had not been familiar to me at all. Their products seem to use really high quality natural ingredients with tons of plant antioxidants and extracts, which really appeals to me. They have some other really beautiful creams and balms with absolutely clean botanical ingredient lists. For someone who’s wanting to get more into green beauty and is looking for products that are TRULY green (and not just “greenwashed”), Tammy Fender is one to look for. 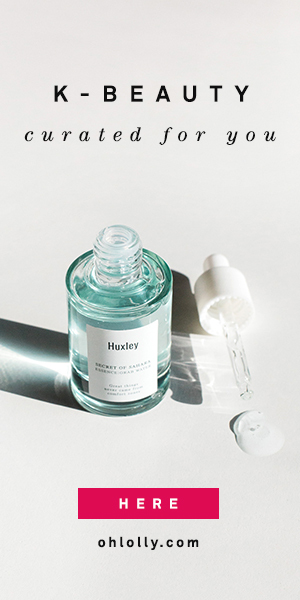 That fact that The Detox Box team curated a green beauty brand with such clean ingredient lists tells me that this subscription box is serious about truly green beauty. I’m looking forward to seeing what else they pick! Get The Detox Box at The Detox Market for $49.95/mo.